I have never seen anything more douchey than Cody with that stupid visor helmet. I actually see only 2 things that lead to this situation of disappointed people. One is that expectations are high when a "celebration" is officially announced, e. g. some of us play SWTOR, too, which also runs under EA license. There are not a lot of events or celebrations at all, as of course it's a completely different type of game. But when a celebration is announced, such as the yearly Life Day Event, there's a whole month of stuff to do and prices to win. The second thing is about the leaks... I clearly get why CG can't allow anyone to benifit from something like that. It's a matter of principles: if a leak gets confirmed and turns out to be true, the leaker will get even more attention and range if he does it the next time. If an exposed leak leads to delaying things and driving the playerbase mad, the solution should be not to leak such stuff anymore, therefore not ruin it for everyone! 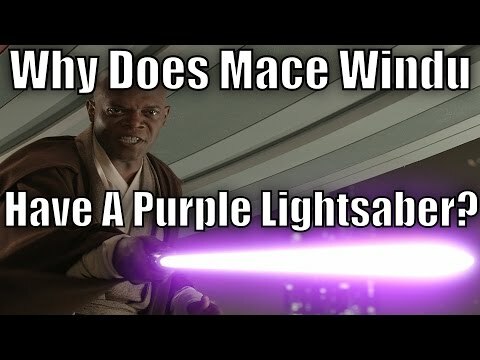 Another thing, why do so many people want a Mace Windu rework? I understand the desire for Grievous, but we already have a lot of great Jedi in the game. Indeed, the Jedi faction now has more characters than most other factions. Plus, in the series he behaved like a hypocrite against Ahsoka, that's when I lost my respect for him, to be honest . Edit: I used a different word than "hypocrite" first, but it got censored^^ . Because Mace is one of the most powerful Jedi ever and is probably the worst one in the game. Same goes for Cad Bane as a bounty hunter, and his rework didn't make it much better. Or think of Bodhi Rook, the sentence he says the most often in the movie is "I am the pilot", yet he has no ship at all. This game has never been about lore logic, otherwise a Sith like Darth Nihilus, who was able to destroy whole planets, could not be a playable character at all, as noone could kill him, especially not non- force users. So we can either get mad about it, or just live with it. Pretty weak argument but ok.
What did Mace do that was so great? I never saw him do anything except chop off Jangos head. He mostly sat around rubbing his chin. Sure he beat down EP...but then again did EP let him knowing Anakin would protect him? I have always thought Mace was over rated personally. All of that being said he does need a rework, just dont understand the Mace love. He was one of the best swordsmen. Very wise. Was master of the jedi council before yoda. Literally about the best at everything, only second to yoda in a few categories. And he led the 212 attack! If logic is not strong enough as an argument for you, I don't know what you would like to hear . The game makers never prioritized designing character abilities matching the lore, but focused on their own ideas of balancing, that's just a fact and I only gave a few of the most obvious examples. Plus, I just think that if they start making things better in that regard, there are some other characters that would need a rework before him (while Cad Bane's rework was rather disappointing) - Following your logic, Anakin would still have to be stronger than Windu, of course. I know!..... Isnt that crazy? I work for a company like that. Always trying to make a profit... Then they turn around and pay taxes and their employees with it. Such a messed up system. Hmmm. I guess anything you aren't personally aware of doesn't exist. Don't bother to investigate Mace any further. A few seconds worth of google searches to learn about him is far to much effort. Much too difficult for lots of people. Also, you say other characters need a rework more than mace.... name one (besides grievous) that is both worse than mace and has been requested more than mace and I will believe you. And since you are logical, back it up with evidence. I don’t know if you’ve noticed, but mace and gg have been requested as reworks for literal years now. And since your account is 10 days old, that either shows you don’t know what you’re talking about, or that you’re trolling. Hmm, you are making a lot of hasty assumptions instead of just staying with what I actually wrote^^. And since your account is 10 days old, that either shows you don’t know what you’re talking about, or that you’re trolling. To clarify this one first, I have been a passive reader without an EA forum account for about one and a half years. Shortly I decided to comment here and there, too. Don't judge people on things you cannot know . Additionally, you say that the game makers put no logic into character designs? No, actually I didn't. I said, quoting myself, that the game makers "focused on their own ideas of balancing". This was a value-neutral statement, I never said it was a bad thing at all. Actually, I told you that personally, I wouldn't get mad about it (and therefore don't care about the Windu issue neither) . And the reason is exactly this, the game makers had to choose practicability and the option for variety in characters and gameplay, over lore accuracy. You really seem to take it personal when someone has a different opinion than you, lol. Where in my post did I state they wouldn't try what they could in cases where it makes sense and doesn't hurt their overall pattern of balancing in the game? Nightsisters are a unique faction and they turned out great in the game. Anyway could have been even closer to the lore if two of them weren't just nameless sisters, but actually Karis and Naa'leeth, who Mother Talzin had named the best of their warriors. Also, you say other characters need a rework more than mace.... name one (besides grievous) that is both worse than mace and has been requested more than mace and I will believe you. And since you are logical, back it up with evidence. I don’t know if you’ve noticed, but mace and gg have been requested as reworks for literal years now. 1. Anakin, though I already mentioned him. He was the Chosen One, so he should actually be stronger than most other Jedi in the game (e.g. except for Yoda and the ancient Jedi). As much as I personally love the fact that Ezra is much stronger than him in any current Jedi team, it doesn't make "lore sense", does it? 2. The clones as a whole faction, their current synergy with Jedi (or rather lack of it besides for General Kenobi) is a joke. Imperial troopers are more viable in-game, though the clones were for sure the better fighters and had the better gear (remember Rex' comments on that in "Rebels"?). 3. Some tags should be added and/or updated; "Sith Empire" for the ancient Sith, "Mandalorian" for Canderous, Sabine, Saxon etc., add "Old Republic" tag to HK-47, "Smuggler" tag to some more characters such as STH, part of the Phoenix crew etc. 4. Might not be on your list, but Jawas as a whole faction have no meaning in the game anymore since they removed their need for the mod fights. I don't own them myself, but for those who have them, there should be some new event or assault battle to not make them completely worthless in the game. 5. I'm with you when it comes to General Grievous, like I said. But as I'm still disappointed by Cad Bane's rework, I wouldn't expect too much. Have a nice day, too, and be sure to not put words into my mouth I never said . Funny thing is, the devs actually think they will make more money out of KOTOR rather than Clone Wars. Clone Wars packs would bring much more to their plates lol. We personally need reworks for all Clones, JKA, Mace, Plo Koon and some other Clone Wars era jedi perhaps.Maybe even Qui Gon Jinn who was a crucial character. But meh, they have disappointed me greatly with this so my interest in the game has dramatically decreased. As for the posts before hand, I have to say that i don't agree completely. Yes Nihilus destroyed planets, but there must be some balance on how powerful specific characters are. How can you define such power in a game like this which is meant to have some balance between most factions. I know not all factions where meant to be powerful, but there still is some balance. Now moving forward, Mace was one of the best jedi swordsmen and one of the few jedi that could use some of the dark side to his advantage. Even had his own unique lightsaber battling technique. I will agree that Cad Banes rework didn't impress me either as most of them didn't. Now for the reworks i will agree again with Anakin. I don't care how many jedis are in the game or stuff like that. He was the chosen one as mentioned and was one of the most skillful attackers in the Star Wars universe. His potential was insane and his viability in the game non existing. There is nothing more that i would like than the reworks you mentioned, but as much as i hate to i have to disagree with the clone wars pack statement. There are many many players that have maxed out the Clones especially if you compare that with the KOTOR characters. Which means more shards, more gear, more training droids, more mods aaaaaaaaand MONEEEEEEEEEEEEEEEYYY. The only way for them to make money out of the Clones is to include new characters. I was disappointed too by the way things went. I never played the KOTOR games so i don't have any crazy reason to want those characters other than Revan. Yeah but once you know that most of his EU, including the part where he uses the Dark Side in combat etc., originally comes from Samuel L. Jackson just wanting a purple lightsaber... let's just say, it never impressed me that much. There is a lot that can be done with clone wars era toons. Rework of some jedi/clones, adding some missing jedi/clones plus filling out the seperatists especially a capital ship and more ships. For Mace(and Akbar) they could use another ability to help close the gap between dark side and light side capital ships GP. Both DS cap ships leaders are double zeta 5 ability, LS are zero zeta 4 ability. There are ways to make $$ and give some love to the GR era toons. There is a detail to keep in mind when complaining about missing reworks. Reworks are nothing less than free characters. Actually even more than free, because potentially you already have them. CG has settled on this pay to win marquee formula in which mere mortals, people who value money and people who don't like gambling can get said marquees when they get farmable. 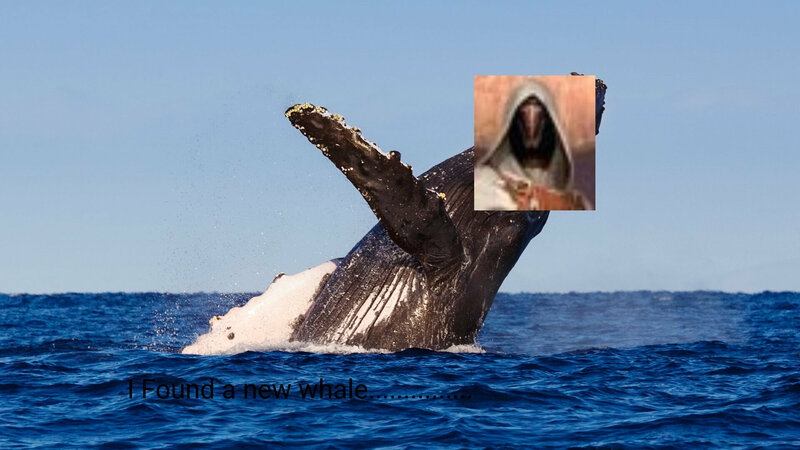 Reworks are like a gift. This is a detail much people tend to not take into account. And as we know, they are not so good at gifts. They have even almost ceased to apology when they mess up whole payouts and such things. We even had to get the sarcastic and stressed/nervous post because they managed to put Revan in 5* platoons once again. I wouldn't expect so much reworks to happen. At least, I wouldn't expect them with no big star wars related event occurring in RL. Oh, I was forgetting: to rework the clones, they should also find a solution to make them not arena viable albeit good toons nevertheless. I really can't imagine them giving away for free a meta team. This. I do not care for KOTOR or any non canon characters. Last few months this game became only a game for Old Republic fans. In 2018. year we got only 3 PT/Clone Wars characters. Many important main characters like Padme are still not in a game, which is just sad. I lost my all hope for more PT/Clone Wars content in this game. Last week of November. Perhaps it'll still be possible for some Clone Wars stuff. They just gave us Maul and QGJ shards for cheap in the weekly shipments. Both have a connection to Obi Wan.